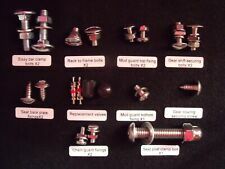 Raleigh chopper Mk1 and Mk2 complete renovation nuts, bolts, and accessory's. 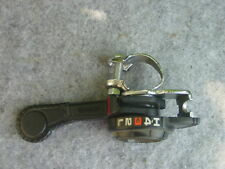 A Raleigh Heron early edition and shape front headlamp bracket. Vintage Klein Bicycle Shop Advertising Lighted Display Sign. 1986. Rare! S we et b ik e gu y collectible.A pp ro x 28 ” by 9 ”. No te t he s ma ll missingp ie ce o f bl ac k pl as ti c end cap. Abgerundete Ecken, kleine Nagel- Löcher an den Ecken sowie umgeschlagene Kanten runden das hochwertige Blechschild ab. Sehr hochwertiges Blechschild. Format 20 x 30 cm mit Relief- Prägung im 3-D-Stil. It is a superb piece and in working condition. The lens is intact and without cracks.Displays beautifully. Good luck. NGN Genuine Breedon Wilmot Union Blanks. ORIGINAL WILMOT BREEDON CUT FORK LOCK KEYS. EITHER NGN or FP. FP, KIS copies of original Blanks. 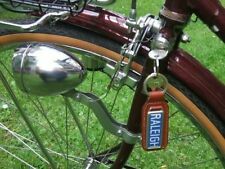 RALEIGH BICYCLES. ORIGINALY DIRECT FROM THE RALEIGH FACTORY. Objektart:Draisine / Laufrad. Zustand:Das Rad weist starke Gebrauchsspuren auf. Viele Teile des Rades wurden erneuert und Restauriert. Die Lenkstange weist einen Spalt auf und wurde durch eine Schelle gesichert. 33mm Augustusburg. SALEM Zigaretten. Sachsen Wanderfahrt. 22.8.26 R.Sp.C.1900. Original, Foto, Fahrrad, Fortuna, Bicycle, Velo, Hauptmannsgrün, Vogtland, 1921, coloriert. Adult Cleaves wooden Tennis Racket, great tension, no loose strings. Finally, the key part to attach to your bicycles front fork is the Clip. Racket length is 27"or 69cm. 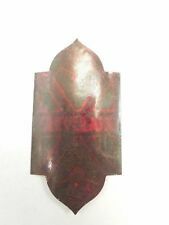 Decal transfers are in readable condition. Aus altem Lagerfund. habe die Gläser mit Absicht nicht gereinigt um das Alter zeigen zu können und um die Aufdrucke nicht. viele versch. Größen von ca 82 mm - ca. 106 mm ( 1 x 48 mm). Im Behälter befindet sich eine lose Feder, Klappergeräusch. Erstattung von Ausfuhr- bzw. Dass Glas fehlt. Wulstreifen Größe 26 1 1/2. - Marke : Deestone. Kleines Rostloch auf der Rückseite. Alte Torpedo Freilauf Nabe 43 M.
Zeitgenössisches Original mit altersbedingten Gebrauchsspuren. unberührter Fundzustand. Suitable for use on Schwinn. Columbia, Shelby, and others. 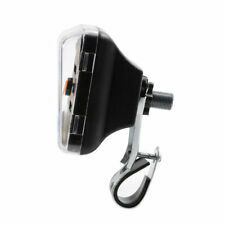 rear fender bicycle reflector. a bicycle and is identical. adds to a bicycle. FREE BICYCLE RELATED GIFT. red jeweled and aluminum. that has never been on. VERY HIGH QUALITY.These Will Fit Perfectly To A MK one or Mark Two Chopper.As You Drill The Top Two Fixing Holes Your Self. & Look at All 12 PHOTOS & ZOOM IN. These Really are What The Chopper World Needed. Verkaufe Sachs Torpedo 2-Gang Duomatic Nabe. Die Nabe schaltet durch leichtes zurücktreten in den 2-Gang. Die Nabe wurde zerlegt, gereinigt, überprüft neu gefettet und geölt. 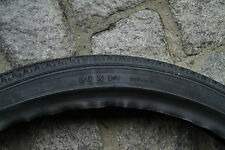 Das Einbaumaß der Nabe beträgt 111 mm. Zustand beider Steckschlüssel ist funktionstüchtig ohne abnutzung der Nasen. und ist mit DRGM gestempelt. Antique Brass Air Pump for Bicycle Tire Early Automotive Model T Penny Farthing? Automotive?. Penny Farthing?. In many cases we are able to resolve the issue. Our opening prices reflect the current market value, demand, and rarity. We price competitively. Antique Brass Air Pump for Bicycle Tires?. Its a great souvenir of yesteryear. Any queries, simply get in touch. 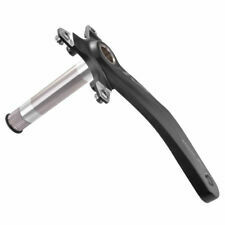 The pump is 16" in length, 26" when totally extended. Standard adult bicycle size for Raleigh Industries. Gold definition indent of Sir Walter Raleigh symbol on the centre tube. 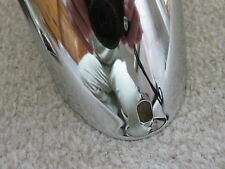 Condition wise: 3cm length crack in the handle (see pic 2) although the handle is still quite rugged and compresses back neatly. Very good condition with a bend in the woman's neck. Cutaway on one side to show the construction of the aluminum Cannondale. IT IS RATHER HARD TO SEE THE SPARKLES IN THE PICTURES I TOOK.BUT THE CENTER OF THE SEAT IS TAN WITH SILVER GLITTER SPARKLES. THE SEAT IS DESIGNED TO BE A LITTLE SHORTER THAN A REGULATION SIZED SEAT. Peugeot Cycles BANNER bicycle retro look. Peugeot Cycles retro look banner. 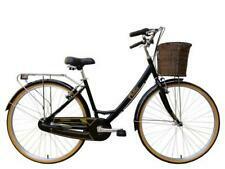 Ideal for the owner or collector of a Classic Peugeot bicycles. Röthenbach b. L. Arbeiter Radfahrer Bund. Krug mit Zinndeckel. FRISCH AUF. This horn mounts on the top area of the tank and not on the side like the large button horns. Passend für 24er u. 26er Fahrrad. "The All-Steel Bicycle" Chainguard. A red/gold chainguard for 26" wheel as shown which has storage marks. No fittings. 56 cm Long - Red. Drehgriff-Klingel mit AHA Standard Bakelit-Griff. Rechtsanbau- Antrieb auf rechter Vorderradseite. VDO Tacho Rennflagge komplett mit Welle und Antrieb. Antrieb und Welle sind neu. Welle schwarz, 70 cm. In der Regel erhalten Sie Ihre Ware innerhalb Deutschlands 24 Stunden später. This 1870 High Wheeler Penny Farthing bicycle cycling model is brand new, fully built & assembled and ready for display (not a kit). The 1870 High Wheeler Penny Farthing bicycle model is completely hand-built & handcrafted of metal with a metal frame. The seat, pedals and all accessories are welded into position (no parts are glued on). This High Wheel Penny Farthing bicycle model is handpainted. The model's stand can be removed and the wheels roll. This model is the manufacturer's artistic interpretation of a 1870 High Wheeler Penny Farthing bicycle and so some details are not entirely correct. 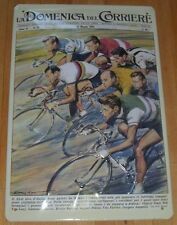 This piece of cycling history is sure to attract attention & become a conversational addition to your automobile decor. Size: 9.5" length x 3.5" width x 8.5" height, Material: Metal. 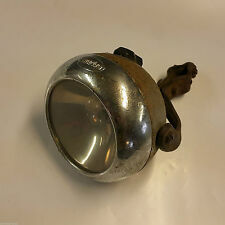 Original Karton für Riemann Lampe. Der Karton ist leer, wird nur durch einen Holzklotz in Form gehalten. EMBROIDERED PEAPICKER KRATE HAT. Whether you prefer the Orange Krate, Apple Krate, PeaPicker, Cotton Picker. I have Green with white stripes PEAPICKER. Pea Picker KRATE HAT GREEN with white stripes. and look just like a Krate bicycle banana seat.